Welcome to the award winning Accelerated Waste Solutions, providing valet trash service. Since 2008, AWS has been a national leader in affordable niche Waste Removal & Recycling. AWS specializes in Apartment Valet Trash and Bulk/Junk Removal Services. And we’re “The Experts” in pairing Proprietary Technology with Quality-driven waste services. 1000’s of Apartment Residents, Homeowners, & Businesses rely on AWS Daily! And we invite your to explore our site, to better understand the benefits of the AWS Difference! We start by “Making a Difference from Your Doorstep” with our revolutionary Apartment Valet Trash Reporting Service called, “DOORSTEP DETAILS”. AWS provides 5-Day Per Week, Apartment/Condo Doorstep Trash & Recycling Collection, combined with our unique “DOORSTEP DETAILS” Reporting system, supported by advanced smartphone technology. All AWS Valet Trash Staff are equipped with smartphones that operate our DOORSTEP DETAILS App Software. The DOORSTEP DETAILS App allows our Valet Trash Staff to capture GPS-Date/Time Stamp Confirmed: Before & After Photos of Service, Building Pickup Confirmation, Arrival & Departure Times, & so Much More…! This information is compiled in your Community’s customized Doorstep Details Report, and sent to you daily. Learn How our proven Valet Trash systems will INCREASE your Apartment/Condo Communities REVENUES, RESIDENT RETENTION, & RELEVANCE in your Market! AWS is also the Home of Famous, JUNK SHOT – Junk Removal App! The U.S.A’s 1st & ONLY Bulk/Junk Removal Smartphone Application, and the fastest, most affordable way to remove Bulk-Junk. The JUNK SHOT’s “PATENT-PENDING” app technology allows any iPhone/Android Smartphone user to take a Photo/”SHOT” of their unwanted junk, and then AWS sends you a Quick Quote & Potential Pickup Time, to your device. 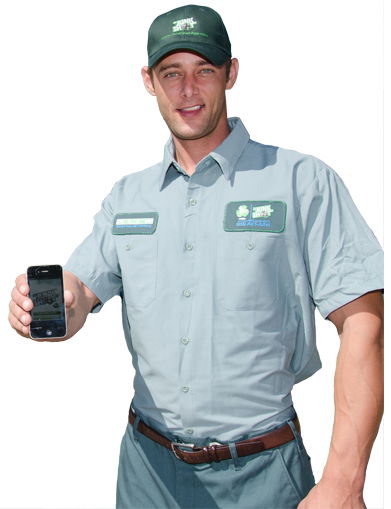 No time to download the app?, no problem… Just give us a quick call at 866-698-2874, and have confidence you’re receiving the Best Price to remove your Junk. That’s because JUNK SHOT has the added value of having the Biggest Trucks in the industry. Which means you can Clear More Clutter for LESS Money. And with our Commercial Pro-rated/Discounted Invoicing, Property Managers, and Contractors always receive more value than renting a Roll-Off. 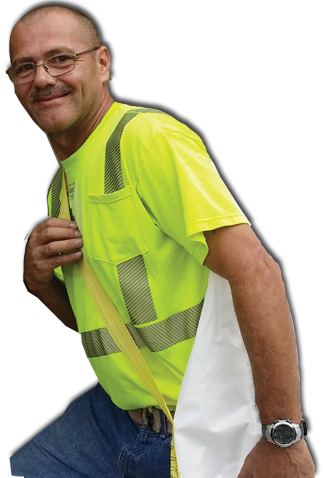 Explore how JUNK SHOT – Junk Removal could be Saving you $1,000’s on your Bulk/Junk Removal expenses. You deserve a 21st Century Waste Experience! Call AWS Today, and discover how “world class” customer service & technology will make clearing the clutter in your home or business easier and more affordable. I had a few units my maintenance team cleared out in prep for new tenants. We used this app. Quotes were affordable and the service was excellent! Fantastic. I had almost half a garage full of cardboard boxes and just random garbage left over from the previous owner of my house. Ian and Eddie were better than on time, they called to check if it was OK to be EARLY. That was a pleasant surprise. Fantastic! This app was a very quick and easy way to get a quote from this great service. and scheduled a pickup time. and Saved $150 from what another company offered. This was the second time I used Junk Shot, and both times my experience was excellent. Just had an awesome experience with Junk Shot aka Accelerated Waste Solutions. They were completely honest and packed the truck full! David R. of Saint Pete Beach, FL. I can’t believe how much they got it in 1 load! 2 men worked, packed, disassembled, lots of large, heavy items. I had 4 dressers/armoires & they packed junk inside the drawers. They sat things on end, whatever it took to fit it onto the truck. Heavy, nasty rolls of carpet, no complaints. AWS program and strategy is beneficial for both our Residents & Mgmt. Our Community has generated over $34,000 in new N.O.I., & while maintaining Quality Service. Newport Apartments / Property Mgr. First time using Junk Shot, but definitely not the last. Chris and Eric were very prompt, professional, efficient and friendly. Not much else to say other than they picked up and hauled away what they were supposed to, and made enough of a lasting impression for me to use Junk Shot for my future junk removal needs.